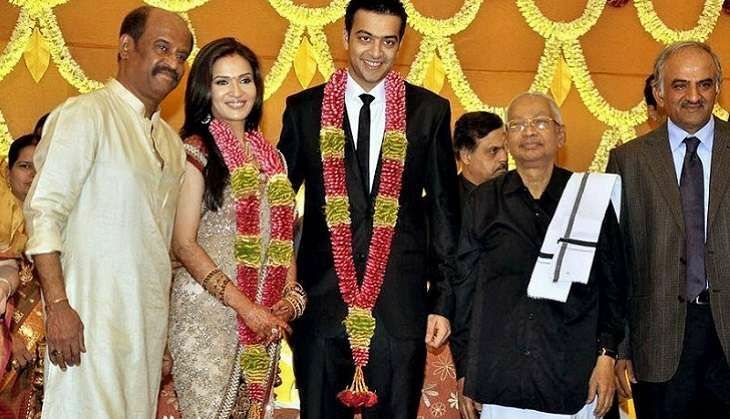 Tamil superstar Rajinikanth's daughter ​Soundarya and her husband Ashwin Ramkumar have decided to end their 6-year long marriage. On Friday, both filed a mutual divorce petition in a family court in Chennai. Soundarya and Ashwin got married in 2010, and they have a one-year-old son. Soundarya is known for directing her father in India's first motion capture 3D Tamil film Kochadaiiyaan, and producing Venkat Prabhu-directed 2010 Tamil comedy Goa. A graphic designer by profession, Soundarya has worked in Tamil films such as Baba, Sandakozhi and Sivaji, among others. She is also the founder of Ocher Picture Productions. Last week she had announced her second directorial outing, VIP 2 with her brother in-law Dhanush and Bollywood actress Kajol. Ashwin Ram Kumar is an industrialist and son of business-tycoon RamKumar. Delhi metro goes cashless. But why is it relying exclusively on Paytm?